Keen readers will remember that about a year ago here on Mac Kung Fu we briefly discussed the DoBox, which advertises itself as a “portable wireless dock for Apple devices”. Well, a few weeks ago they sent us one for review, and while what we received is an engineering sample, there’s certainly a great deal of promise. Speaking to a colleague one day, I tried my best to describe the DoBox. After around five minutes telling him its features, he said to me, “But what actually is it?“ And although I mentioned again that it was a hub, that didn’t really help. And the DoBox can be perplexing if you aren’t familiar with it. This can mean it’s also tough to make a case for recommending it to somebody. The trick is to define it in reverse – to explain what it is by mentioning the problems faced by the average iPad user – and especially anybody who uses the iPad for work. Always running out of battery? The DoBox can help with its 8,000mAh battery that can charge any device from its USB-A ports. We tested this by charging an iPad and iPhone and it worked as described. Running out of storage? You can transfer your pictures and videos to the DoBox’s 32GB of built-in storage (64GB is also available) – and, of course, this allows pictures and videos to be shared with others who also connect. Sharing files on a micro-SD card and any USB storage device is also possible, of course, by simply attaching them. 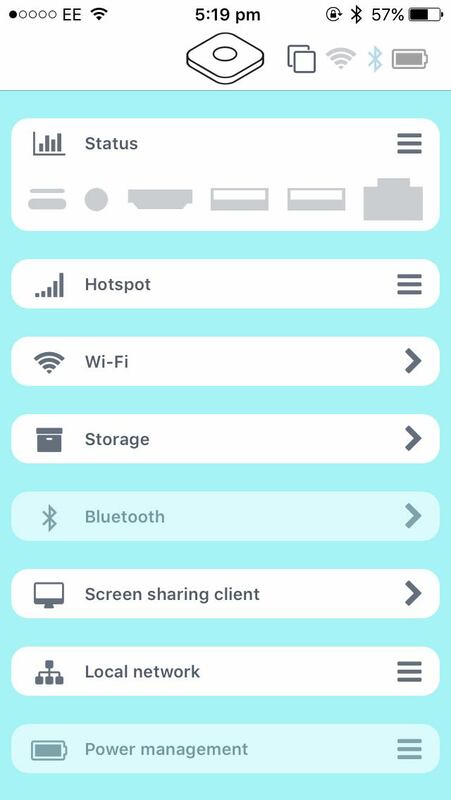 Want to create a private Wi-Fi network to share the data, or to create a private network for colleagues at any location? The DoBox can do this. It can also share an existing Wi-Fi connection in this private fashion, or share an Ethernet connection. And this is before we approach the DoBox’s magical tricks. By attaching a mouse and keyboard, you can remotely control a Mac’s desktop, for example. And the developers behind the DoBox have created an API that, if integrated by app developers, allows the use of a USB keyboard or mouse within iOS apps. 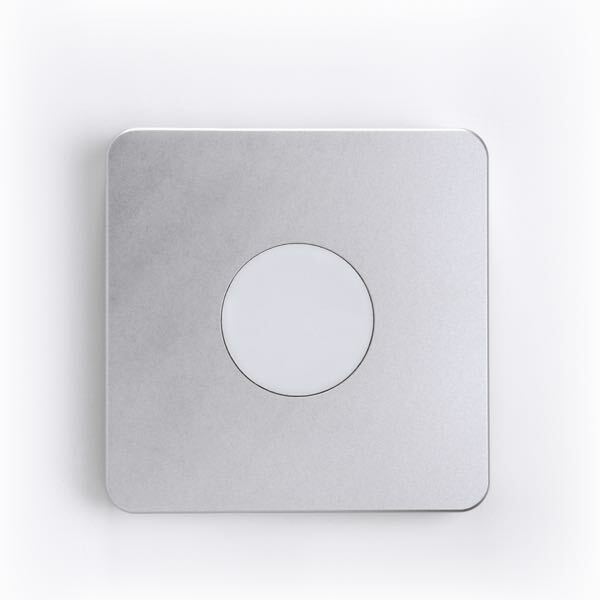 The DoBox is made out of aluminum and, at about 13cm square, its width and depth are about the same as a CD jewel case. According to our ruler, it was 1.8cm in height. We have to say its weight took us a little by surprise, especially considering this is a device supposed to be thrown in a bag with your other portable computing equipment. However, at 460g – just under half a kilogram – we reckon the DoBox feels positive in the hand. It’s got a nice feel. On the top of the unit is the indicator light that also operates as a touch on/off switch (more of that later), and on the back are the ports: two USB-A, one HDMI, a headphone jack, micro-SD-card slot, and Ethernet. There’s also a USB-C port for charging and a very small hole behind which is a reset button. As mentioned, charging must be done via a supplied USB-C cable. A warning leaflet in the box says this must only be attached to a charger of 1A or more – such as the one that came with your iPhone or iPad – or the USB 3 port on a computer. You can’t plug the DoBox into USB 2 ports, probably because the theoretical power output limit of 0.5A (although many computers allow more than this). Turning on the device involves swirling your finger around the circular indicator light area on top of the unit. These indicator lights pulse while the unit is charging and their colour indicates the state of the battery, ranging from red (low) to yellow (medium), to green (charged). Turning on the unit by running your finger around the indicator area takes practice and, even after just a handful of times using the DoBox, we wished there was an old-fashioned on/off switch somewhere. Turning off the unit involves resting a finger on the edge of the indicator area, and this too was frankly annoying. Turning the DoBox on and off this way is an impressive trick but, in addition to it simply being annoying to have to literally fumble with the unit for 5-10 seconds each time you want to use it, keeping the indicator area touch sensitive draws precious current from the battery and will slowly drain the unit. Again, an actual physical switch wouldn’t do this, while a traditional press button would draw almost negligible current. The DoBox takes a moment to boot and this gives an indication that this is basically a small computer running an operating system. We didn’t take apart the DoBox but we’ll bet that inside is an ARM chip running some kind of embedded Linux. 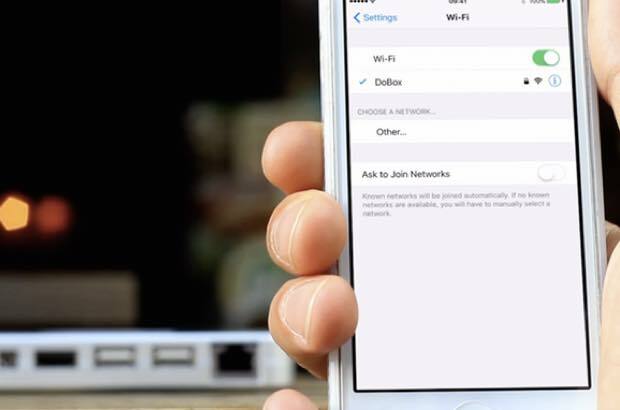 Once booted you need to join the DoBox’s own Wi-Fi network, and then use the DoBox app on your phone or tablet to take control and configure the DoBox. 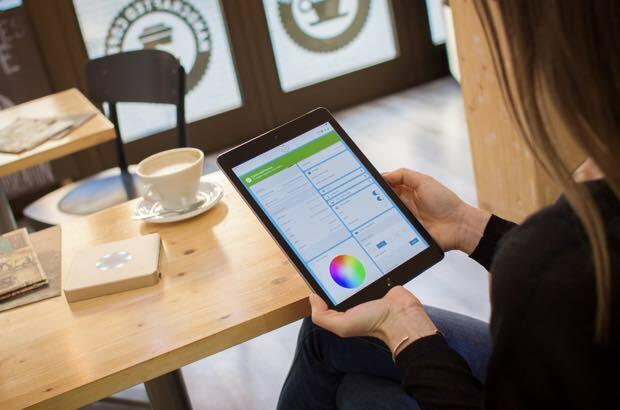 The app wasn’t finished as I wrote this review, and key features simply weren’t yet implemented, such as ability to create a Wi-Fi network to share an Internet connection, or Bluetooth functionality. Connecting via Wi-Fi on our Mac shows an 2.4GHz 802.11n connection running at 65Mbps. No matter how many times we connected this speed remained constant. In my tests I needed to be in the same room as the DoBox to be able to connect too. Talking of Macs, there is no app for Mac or Windows but to share files you connect to the DoBox via a standard SMB share – the DoBox appears in the left of the Finder window under the Shared heading, and you connect as Guest. Alas, in our tests this just didn’t work – and here we are reminded our review unit was an engineering sample, so oddities like this are to be expected. However, using the age-old technique of clicking Go > Connect to Server, and specifying the DoBox’s IP address (192.168.8.1) we were able to connect with no problems and up/download files. File transfer speeds for larger files are not fast, but for smaller files like images or documents transfer is almost instant. Connecting to the DoBox via the USB-C cable from our 2015 MacBook Pro didn’t appear to let us connect to the DoBox as a mass storage device (that is, in the same way a USB stick connects). This seems a missed opportunity. Usefully if you have a Mac with USB-C ports, if you attach the DoBox via USB-C and then turn off the DoBox, it turns into a USB hub allowing you to attach older devices to the USB-A port in order to connect them to your Mac. One of the DoBox’s tricks is to allow video playback on a TV or monitor via HDMI. A business person might use this feature to show presentations, for example, without needing to take-up storage space on his/her iPad. Once the TV or monitor is attached, playback is controlled via the app on your iPhone or iPad. Weirdly, although the video output to a domestic Samsung TV worked fine in our tests, audio output was routed to the headphone jack. There’s presently no way to change this in the app. Not only that but the audio output was very loud, and again the app offered to way to adjust the volume. We’re not sure why the audio isn’t just sent over HDMI, which seems the most sensible solution. The DoBox is impressive and is here right now. In a world of so many Kickstarter failures (or half-implemented features) the creators and developers of the DoBox should be applauded for delivering on an ambitious design goal. However, if the DoBox has any issues, it’s with these very design goals. I mentioned earlier that it’s very hard to explain to others what the DoBox actually is, and it feels like the DoBox flies perilously close to the black hole of “solutions to problems that don’t exist”. This black hole has swallowed-up many an ambitious hardware design in the past 30 years of personal computing. Here’s my idea: If there’s a DoBox 2, it should be advertised as a “smart battery hub”. It should focus on that one important and highly useful problem – running out of battery while you’re out of the home/office – and advertise everything else as an extra on top of this. This includes the storage, and Wi-Fi connectivity, and HDMI playback… All of this should be advertised as the “smart” features of what is already a very capable mobile charging device. In other words, solve one major problem satisfactorily – and make it very clear you’ve done so – and then move onto solving other problems. As it stands, the DoBox is certainly very useful. However, we simply weren’t able to test it as fully as we’d like because of the limitations within the app, which was still at the very early beta stage when we reviewed the unit in April 2017. The DoBox currently costs $199 for the 32GB model and $239 for the 64GB model, although these are “earlybird” prices on the Indiegogo page. In both cases the estimated delivery date is June 2017. Updated 1 May 2017 to reflect the fact the DoBox has an 8,000mAh battery rather than 5,000mAh.